After Netflix, Hulu and Apple TV+, Disney is jumping in the video subscription segment. Disney’s subscription service will be named Disney+ and it is set to launch on November 12, 2019. To avail this service, the users will be charged $6.99 (approximately Rs 483) per month or $69.99 (approximately Rs 4,837) for a year. With the launch of Disney+, it will be going up against Netflix, Hulu, HBO Now, Amazon Prime, Showtime and Apple TV+. In its first phase, Disney has planned to roll out the Disney+ shows and services to the US and then they will be made available to other countries in all major regions by 2021. 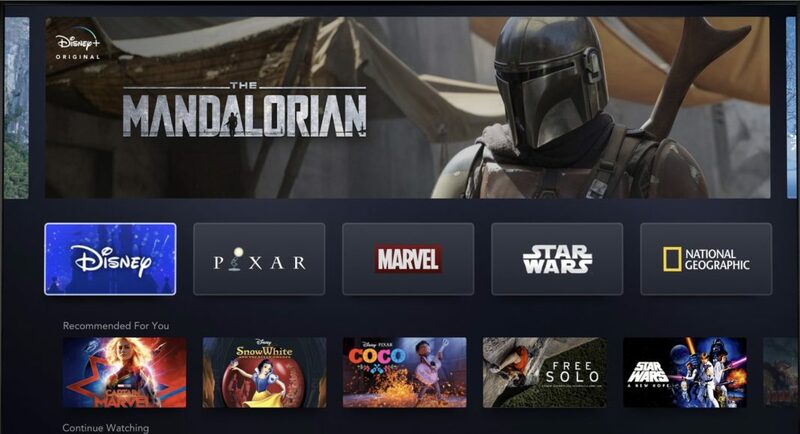 The good news is that Disney will be bringing the Disney+ streaming service to Android, iOS, gaming consoles including Microsoft Xbox and Sony PlayStation, streaming media players and smart TVs. It is an extensive plan and Disney will aggressively be rolling out its services to platforms and regions continuously. Disney+ will also support the streaming of 4K HDR videos on compatible devices, however, as of now, their list is not available. For its Android platform, Disney+ will give its users the option to download any shows or videos they are watching for offline viewing. This feature was launched by Netflix only recently where it gave its users the ability to download the shows/episodes to watch offline. But Disney+ will be providing this right from the launch of its service. Disney + app is expected to have the five largest hubs for its content segregation from some of the most popular franchise such as Disney, Pixar, Marvel, Star Wars, and National Geographic. Disney+ charges are way cheaper when compared to other services such as Netflix which charges $8.99 (approximately Rs 622) per month or $15.99 (approximately Rs 1106) per month if the user wants to stream 4K video streaming. On the other hand, Disney’s plan of $6.99 is cheaper than the Netflix’s plan and its normal per month plan includes the 4K video streaming service so the users won’t have to pay extra for it. Also, Disney has already confirmed that it will have 7,500 TV show episodes and over 500 movies available on its Disney+ platform for the viewers to watch. According to Disney, it has invested around $1 billion towards developing new content just for the first year of the launch of Disney+. And with it, Disney has a target user base of 90 million subscribers by the end of 2020. Considering Disney’s popularity and the fact that it now owns Fox, Marvel Studios, National Geographic, Star Wars etc it is not a hard target and it might even exceed its own targeted numbers.